This recipe doesn’t require much skills and there’s absolutely no need to have a bread machine. I’m going to show you how I make the traditional bread being made for centuries around the central Europe. 1. Mix well in glass the water and yeast. The solution will start ‘growing’ soon. Allow about 20 minutes. 2. 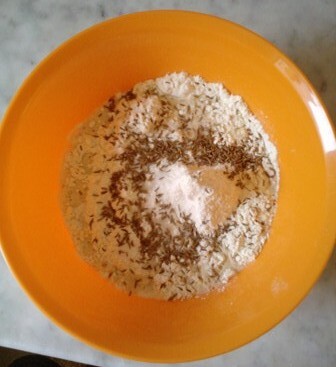 Mix a flour with a yeast you’d just made in a deep bowl with the salt. 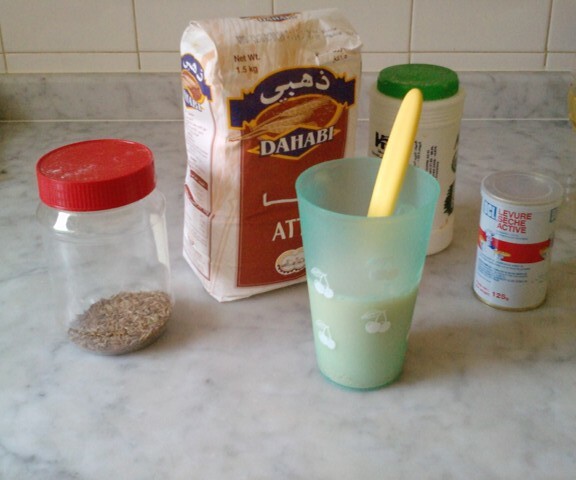 I like to put there some caraway seeds as the give the bread very specific taste. 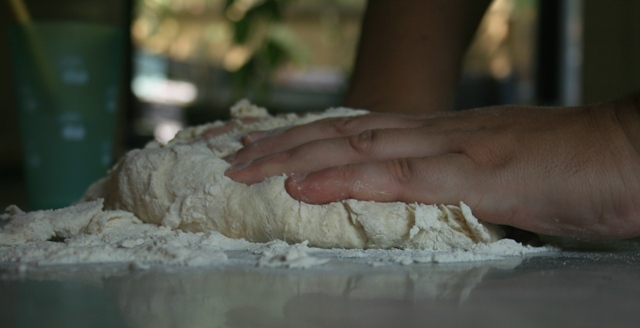 Make sure all is kneaded properly as the yeast has to be spread evenly with a flour and water. Try to play with a mass for at least 5 minutes. Have a fun! This reminds me when I was a kid and we used to play with a plasteline. 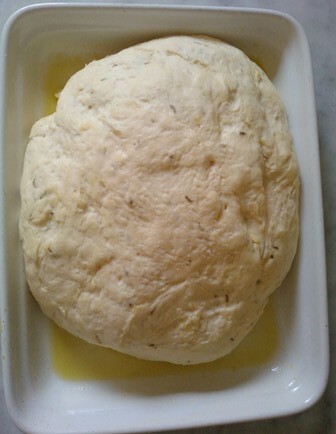 Your hands will be sticky a bit, what I do is to ‘wash’ them with an olive oil before kneading. 4.Prepare the baking tray. Place the bread-stuff on the tray and leave it to grow. Cover it with tea towel.It will take about 60-90 minutes to raise. 4. Heat your oven to maximum , gas 8, electric 240°C. After 20 minutes place the bread-stuff in the oven. I flip the bread over in the tray just when it turns nice and crispy looking. I leave the bread in oven for about 30 minutes at least, it will makes sure the bread is properly made inside out. This entry was posted in Food&Drink. Bookmark the permalink. Thanks! 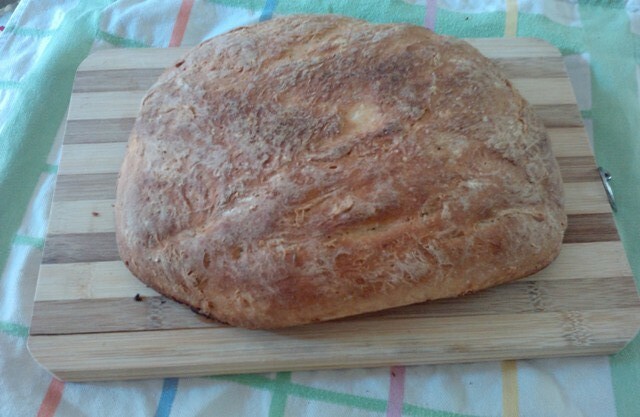 My father and I used to make bread when I was a youngster. I remember it being a difficult task. You make it look so easy. Will definitely try this – with the caraway seeds, too.